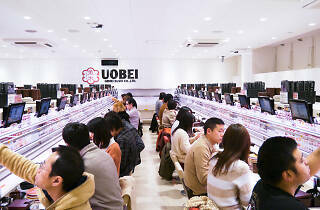 One day, all kaiten-zushi restaurants might be like this high-tech Shibuya sushi shop. 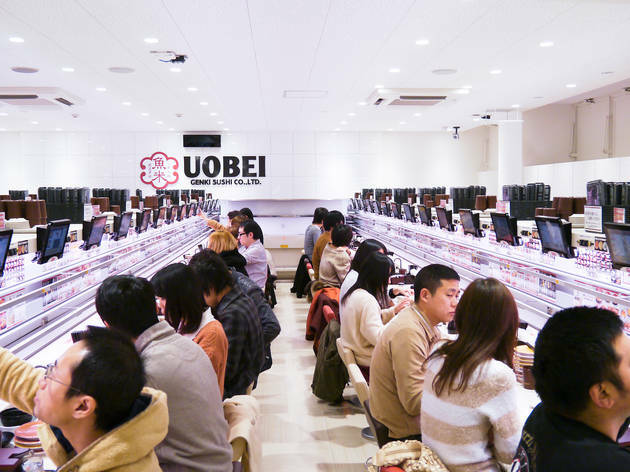 You won't even find any conveyor belts in Uobei: once customers place their orders via multi-language touch screen, the dishes are delivered by high-speed chute, with nary a hint of there being any humans involved in the process. (Sure, the sushi itself is prepared by humans rather than sophisticated humanoids – but it's nice to imagine otherwise.) The flavours aren't quite as dazzling as the futuristic presentation, but when you're paying a rock-bottom ¥108 for each item on the menu, it's hard to complain.